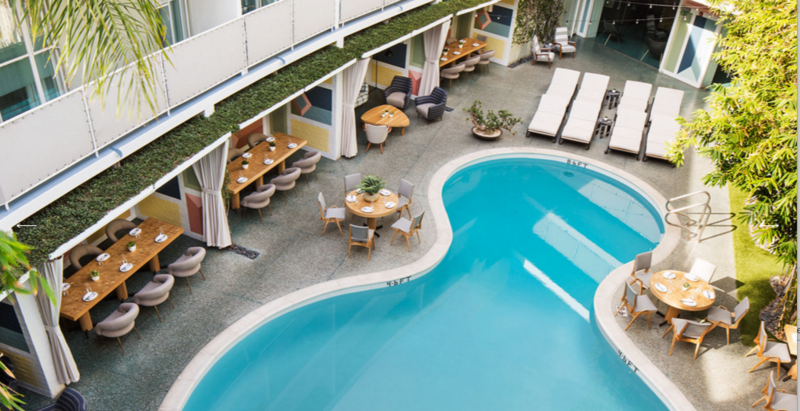 The Avalon Beverly Hills, is a retro-chic boutique hotel where the poolside cabana was practically invented back in the late 1990s when the property was renovated. The kidney-shaped pool and its ring of covered, semi-private lounging areas sit at the center of the property and are almost as coveted as the rest of the real estate in Beverly Hills. Maybe they left The Four Seasons Hotel Los Angeles at Beverly Hills off the list because it’s technically in Los Angeles, though just on the other side of the city limits. The pool is on a landscaped terrace on the fourth floor, with elevated city views of both cities it serves—Los Angeles and Beverly Hills. And yes, they have cabanas too—six are available for spa treatments or a sheltered respite, with refreshments offered from the adjoining Cabana Restaurant. Water in the pool is kept at a sultry 79–81ºF (26–27ºC). 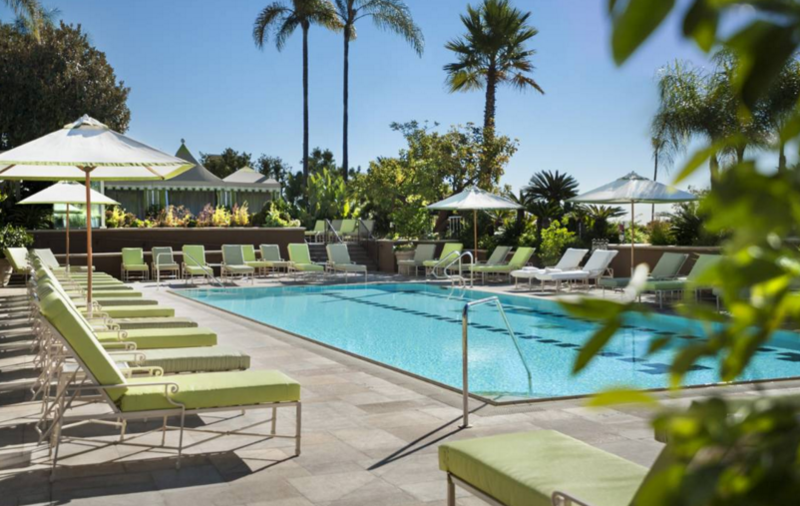 The pool at the Viceroy L’ermitage Beverly Hills is on the roof with views of the Hollywood Hills and surrounding area. It’s a pretty quietly swank location; expect to see upscale families, business people, locals hiding out recovering from plastic surgery. Not so much a cabana scene. 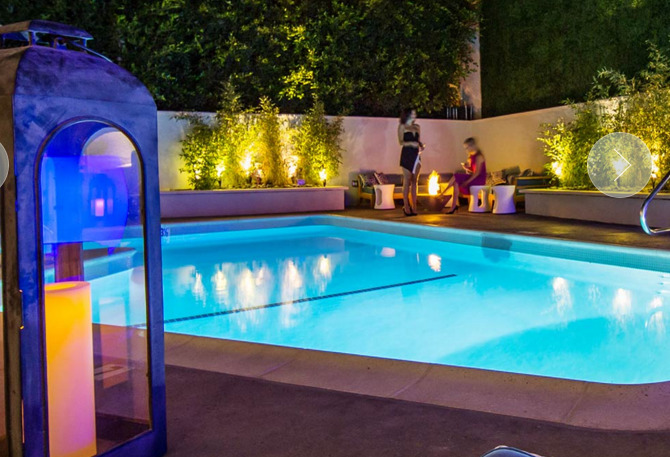 Perhaps the most little known Beverly Hills hotel pool can be found at The Mosaic in Beverly Hills. But honestly, it’s a dinky little thing. First clue that it might not be one of the hotel’s best features–the only photo on the web site shows it at night. But if you want to stay in Beverly Hills, it’s one of your more affordable options.